Who would have thought when Sherley St. Pierre and his wife Theresa formed a small country music band “The Melody Ramblers” that they started a country music tradition. Even though country music styles have changed over the years, the name “Melody Ramblers” had lasted 41 years. Sherley St. Pierre performed in the band from 1953 to 1975, but the band carried on and has always involved several relatives. In these early years, they did not have a bass player in the band, so the bass was simulated with the pedal steel guitar when needed. You would never know the difference by listening to it. The very first live shows the band did were for $35 a night in the 1950’s. It was not unusual for them to perform two shows a day on the weekend, often doing something like a wedding in the day time and a night show at an establishment. Some of the places they played in these early years were Big Point, Stoney Point Club, Port Lambton, Chatham Polish Hall, Blenheim, and Tilbury. 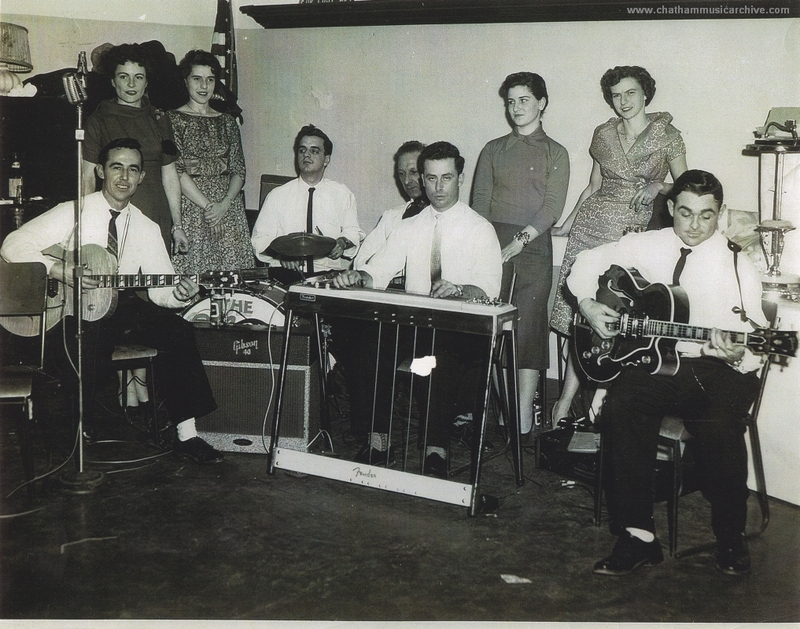 The group also performed at the Pyranon Ballroom in Chatham. * Sherley St. Pierre was honoured and inducted into the Grande Point Hall Of Fame. 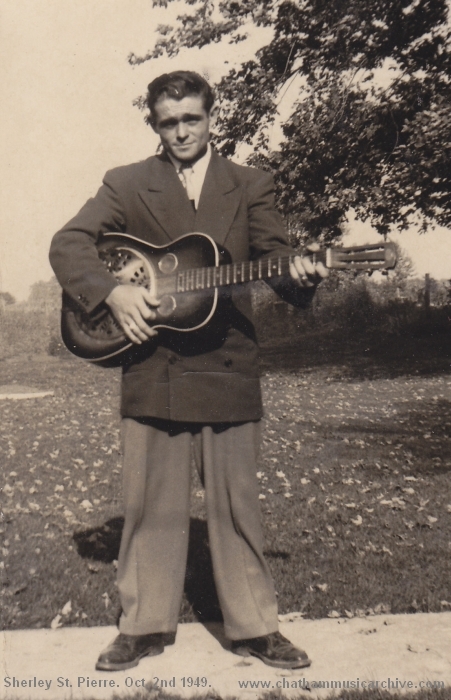 * Photo of Sherley with his Dobro Above: Taken Oct. 2nd 1949. He was only 17 in this picture (Born in 1932), just four years before forming the band. 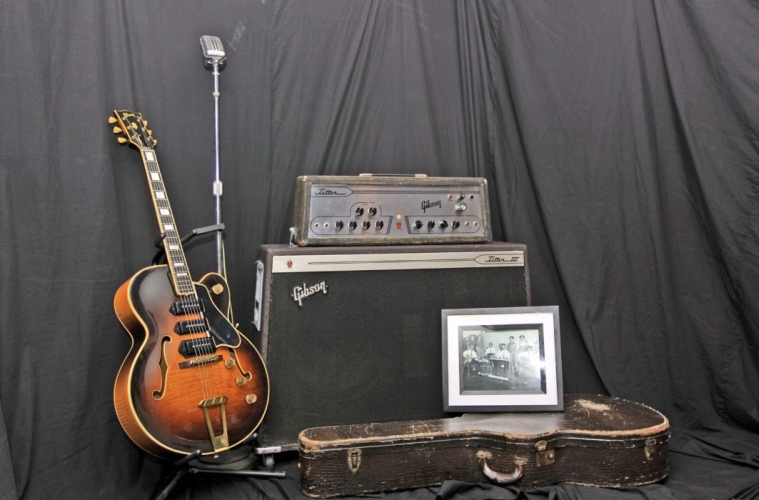 * Gear photo: (Sherley St.Pierre) 1952 Gibson ES-5, his 1964 Gibson Titan III amp and even his old microphone. This is the gear he used way back in the day with the Melody Ramblers. Photos donated to the Chatham Music Archive by the St. Pierre’s.